To date (1/9/2011) live Daedalochila auriculata have only been found at four locations in Duval County, Florida and in only very limited numbers (less than a dozen) at two of those locations. Since the species is quite common in rural St. Johns County just to the south, it appears likely that prior to rampant development and destruction of habitat Duval County too had many Daedalochila auriculata populations. To test this theory it was decided to see if a new Daedalochila auriculata population could be established in an area of the county where no living specimens had previously been found. The site chosen for the attempted establishment of a new colony was along the shoreline of a retention pond adjacent to a commercial business known as "Ameritape" located at 11236-100 St. Johns Industrial Parkway South, just west of St. Johns Bluff Road in the southeastern part of the county. This site was chosen because it already housed a large and thriving population of Daedalochila uvulifera (Shuttleworth, 1852) [Peninsula Lipooth), had a permanent source of moisture which is preferred by the species, was a location lacking apparent snail predators, and was a location unlikely to be disturbed by man. To start the experiment, on 12/18/2010 nine adult Daedalochila auriculata were released in two separate but closely-placed locations along the shoreline of the southwest corner of retention pond (see image below). The specimens were placed under man-made piles of dried vegetation and had previously been collected from either the roadside swale along County Road 13 (CR-13) just northeast of Picolata in western St. Johns County (see: Daedalochila auriculata Near Bass Haven Lane) or near Old St. Augustine Road In Duval County. During the "planting" of the specimens, four live D. uvulifera were found in the area and removed. 12/24/2010 - Five of the nine planted specimens were found in the same locations where they were released. A total of five live D. uvulifera had arrived since 12/18/2010 and were removed from the area. 12/26/2010 - Five of the nine planted specimens were found in the same locations where they were released. 12/31/2010 - Four of the nine planted specimens were found in the same locations where they were released. 1/9/2011 - Eight of the nine planted specimens could not be found in the area. The single specimen that was found appeared to be alive. Four additional live Daedalochila auriculata were released into the area - bringing the total of specimens released to date to 13. These specimens too had been collected from the roadside swale along CR-13 in St. Johns County (1/2/2011). A total of four live D. uvulifera were found in the area and removed. 1/22/2011 - Only two of the 13 planted Daedalochila auriculata specimens could be located in the release area and both specimens appeared to be alive and well. Five additional live specimens, previously collected in northwestern Duval County on Plummer Road, were released into the area bringing the total number of specimens planted thus far to 18. 2/6/2011 - Two additional Daedalochila auriculata, previously collected near the Outback Crab Shack in St. Johns County, were released into the area bringing the total of specimens planted thus far to 20. A cursory search failed to yield any live D. auriculata that were liberated previously. However, four of the specimens planted earlier were found deceased and removed from the area thus leaving 16 specimens. 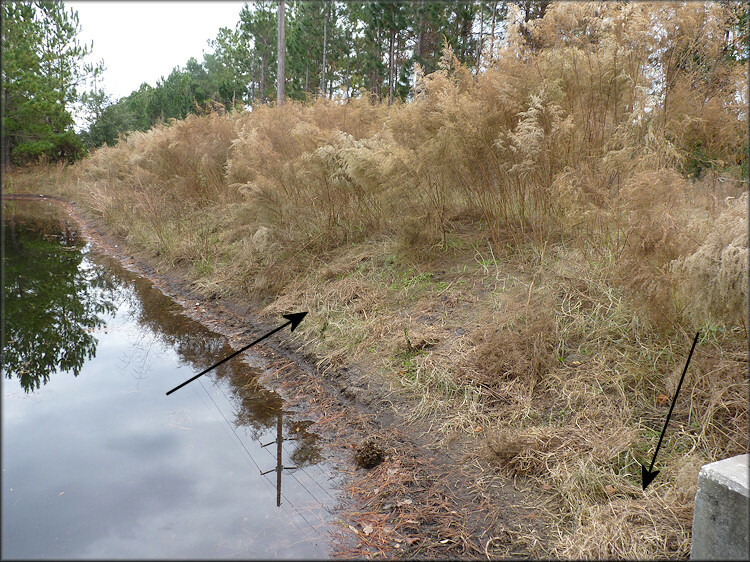 2/13/2011 - Only one of the 16 remaining planted specimens could be located which indicates that the snails had dispersed from the areas where they had been introduced. Two live D. uvulifera had moved into the plant area and were removed. 3/6/2011 - Only one of the 16 planted D. auriculata could be located. However, five D. uvulifera had moved into the area and were removed. 3/17/2011 - Two additional live D. auriculata, collected in St. Johns County, were released into the plant area bringing the total of live specimens at the site to 18. None of the previously released specimens could be located. However, six live D. uvulifera had moved into the area and were removed. 5/9/2011 - Two additional live D. auriculata, collected elsewhere in Duval County, were released into the plant area bringing the total of live specimens at the site to 20. A brief search yielded eight probably living D. uvulifera and one D. auriculata. 10/29/2011 - The plant area was thoroughly searched and 15 live D. uvulifera were found in addition to about 50 empty shells. However, only a single empty D. auriculata shell could be located thus leaving 19 specimens unaccounted for and presumed to have moved out of the area. The image below shows the two locations where the thirteen Daedalochila auriculata were released.